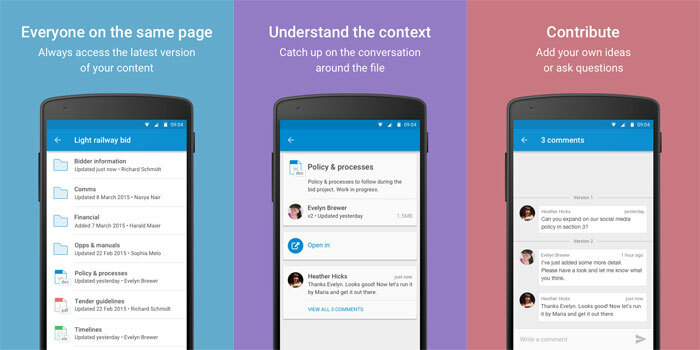 Cloud collaboration service Huddle, which enables enterprises to store, access, share, sync and work on files, has introduced an updated version of their Android app. Huddle revealed that it has seen 50 percent month on month increase in active android users since March of 2015, so the updated app should help meet the increase in demand. The update to the Android app introduces several new capabilities including the ability to preview files, review file details, access files offline and comment. "The increasing penetration of Android in the enterprise and the rise of the digital workplace have created a perfect storm for Android apps," said Stuart Cochran, CTO of Huddle. "In fact, we've seen a significant increase in downloads of Huddle for Android in the last quarter alone. We are constantly looking for ways to evolve the Huddle experience for mobile users, and the updates to Huddle for Android achieve just this, making it possible for users to accomplish tasks they would otherwise need to do at their desk, right from their mobile device." The Huddle app for Android is available free for all Huddle users.